What is Tiramisu? The literal meaning of Tiramisu in Italian is “pick me up” or “cheer me up”. As the name implies, this is an iconic Italian dessert that is served at the end of the meal that hopefully “cheers you up”. Most of the accounts of the origin of Tiramisu points to the 1960s in the region of Veneto in Northeastern Italy, which is where the city of Venice is located. 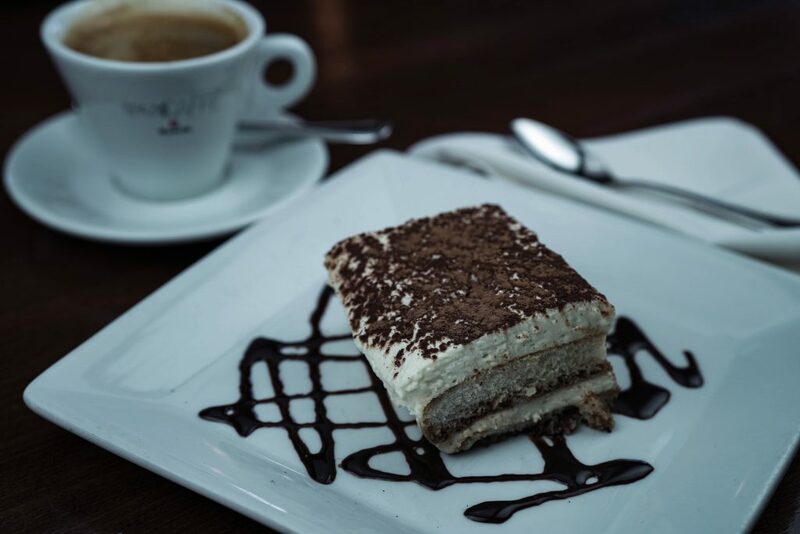 Roberto Linguanotto, owner of “Le Beccherie” of Treviso, Italy was behind the creation of the first Tiramisu. This special dessert was created in the bakery of the restaurant. Over time, people have continued to make Tiramisu and develop their own techniques of making this delicious Italian dessert. Traditional Tiramisu consists of finger biscuits, egg yolks, sugar, coffee, mascarpone cheese and topped off with cocoa powder. Other variations include adding egg white or even liquor, to give the dessert a flavorful kick. Although the dish is traditionally made in a round shape, over time the Tiramisu has evolved into a square shape due to the limitations of the ladyfinger biscuits. Making the Tiramisu involves layering the custard on top the coffee/liquor soaked finger biscuits. This is where the Tiramisu gets its layered look. Making Tiramisu is actually easier than it sounds. First step is to make the custard. There are many ways to doing this, the traditional way is to separate the egg white and egg yolk, mix with sugar and vanilla until the custard has a creamy texture. A substitute for eggs would be to use whipped cream. Bottom line is you need to create a fresh creamy dairy custard that holds in shape, which means the heavier the better. Once you have the custard ready, you will need the ladyfinger biscuits. Dip the biscuits in strong espresso (some people even add a little bit of wine), but be sure to not over soak it so it falls apart when you pick them up. Then then fun part begins. Find yourself a big container (round of square) and spread the first layer of biscuits. After the biscuits are evenly distributed on the first layer, then you add on the custard. Spread the custard out evenly as the biscuits are, and then keep doing it until it fills up your container. The final step is to dust the top off with cocoa powder for the chocolate taste, and then you put the mix in the fridge for a couple hours. 2-4 hours is the ideal time for the Tiramisu, and the temperature makes the dessert even better, too. Tiramisu is best served cold, and when paired up with a cup of coffee or espresso, you have hit the jackpot. Nothing says “pick me up” more than a delicious Tiramisu to end a meal. Now that you have the idea of how to make your Tiramisu, go ahead and try it out in your own kitchen! 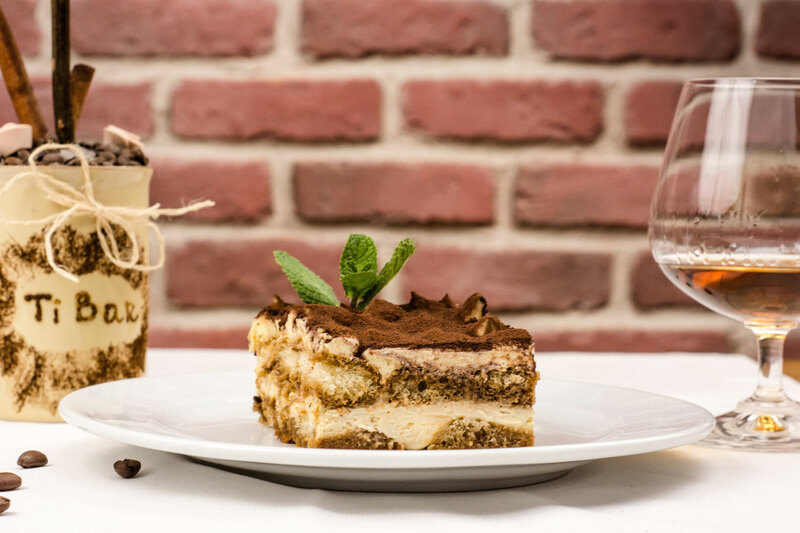 If you are not the kind of person to be creating your own food and desserts, you can always come to Spumoni Restaurants to enjoy our iconic Tiramisu!